The James Bradley Peace Foundation has partnered with Youth For Understanding USA, the world experts at shepherding young people on international exchanges.Through the James Bradley Peace Foundation, Bradley is investing in American high school students by funding homestay immersion exchange programs to which gives them an incredible opportunity at international awareness. The James Bradley Peace Foundation Scholarship, formerly known as the Sons of Iwo Jima Scholarship program, provides academic year scholarships to China and Vietnam. Open to all U.S. high school students, but students attending specific high schools will have selection priority. Students must have a minimum 3.0 GPA. 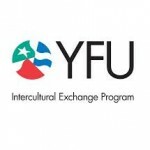 Previous participants on a YFU exchange are not eligible. Only U.S. citizens may apply. Selection priority will be given to students attending the following high schools: Andrew Jackson Senior High School (FL), Antigo (WI) High School, Audubon (NJ) High School, Childress (TX) High School, Clay Center Community (KS) High School, Conemaugh Valley (PA) High School, Fleming County (KY) High School, Long Beach Polytechnic High School (CA), Manchester (NH) High School, Paseo Academy of Fine and Performing Arts (MO), Smith-Cotton (MO) High School, Weslaco (TX) High School, and students of the Pima Tribe (AZ) Ira H. Hayes Memorial High School.